- The crowd at Spartan Stadium was electric at the start of this game, but has quieted considerably. 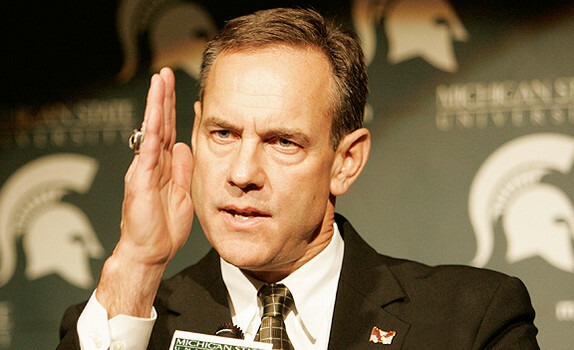 The Spartans have not played well. The fans know it. This is about surviving now. Any win would be taken. 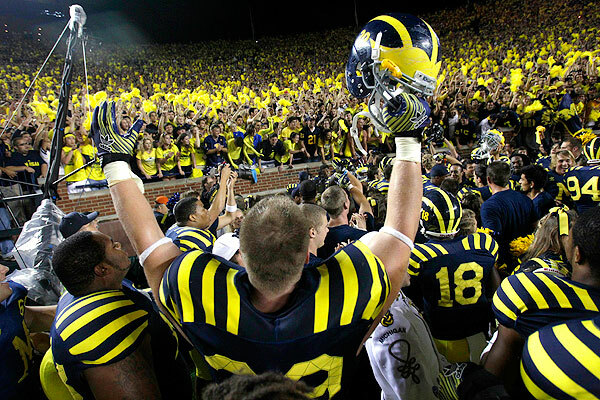 There will be no "wow" points for MSU. - Here is the obvious: So many people (myself included) underestimated Boise State because of their player losses after last season were so considerable. Evidently, the Broncos' extraordinary success is something they may be able to sustain, and they are worthy of their Top 25 ranking. - State needs to win with fundamentals. That gadget play at the end of the quarter was poorly designed and had literally no chance of working the way it was set up. - Count me among those who thought MSU QB Andrew Maxwell would play much better tonight than he did during the first half. It seems like he is staring at his intented targets, and rushing some of his passes. His inaccuracy on the intercepotion before the end of the half was flatout the result of an inaccurate throw. Bennie Fowler was wide open on that play. It should have resulted in a touchdown. Boise State is starting to bring more pressure as a result, and it is working. - This may be Maxwell's first extensive game experience, but this is his fourth year in MSU's program. We'll see if that helps him adjust at halftime. The Spartans will struggle mightily if he performs like this all season. Or Connor Cook will replace him quickly. - The Spartans' wide receiving corps is getting little separation on its deep patterns vs. Boise State's secondary. It's not a factor that has helped Maxwell. - Great catch by Boise State wide receiver Matt Miller to set up a go-ahead field goal. He is considered the Broncos' best player. After that catch, it's understood why. - Getting picked off so early in this game will only be a big deal if either Spartans' QB Andrew Maxwell lets it from a confidence standpoint, or if MSU offensive coordinator Dan Roushar plays it close to the vest, and doesn't allow Maxwell to open up. It was obviously a play that was well-diagnosed by the Boise State defense. The Spartans pass protection hasn't been as good as their run blocking so far. 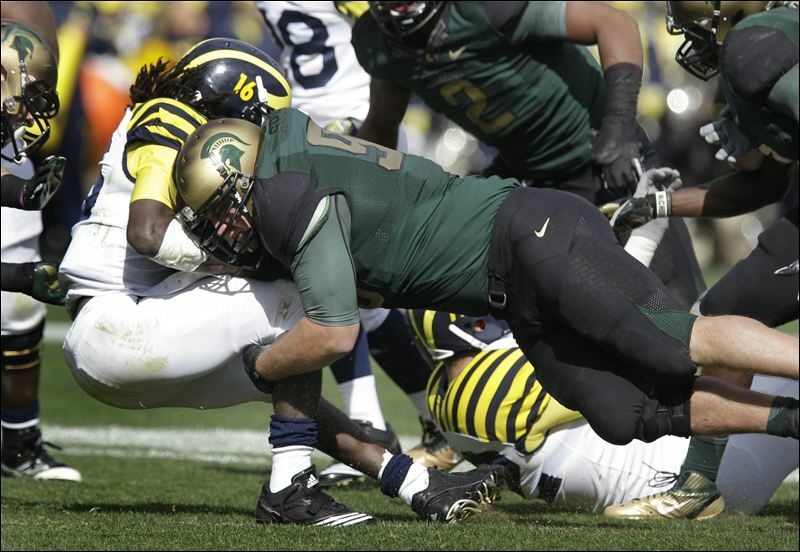 - MSU defensive end William Gholston is already imposing his will on this game. Boise State QB Joe Southwick has had No. 2 in his face almost every time he's dropped back to pass. You can tell the Brocnos have no answer for Gholston already, especially given the Spartans' depth along the defensive front. - I have never figured Le'Veon Bell as a particularly fast nor athletic tailback. Always figured that's why he was was bypassed by Ohio State out of a high school near Columbus, and why he was just a two-star recruit by Rivals. 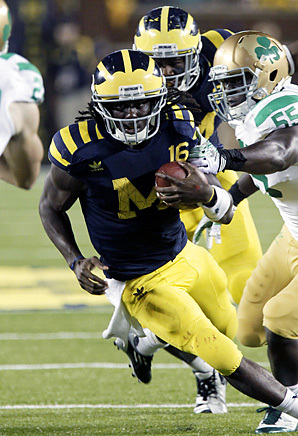 But he sure was athletic hurdling that defensive back in the open field on the Spartans' opening touchdown drive. A 245-pound running back just isn't supposed to do that, but he did. Amazing. - Maxwell moves much better outside the pocket than Kirk Cousins. That much is already apparent. What's not so clear is if he has the same type of pocket presence. 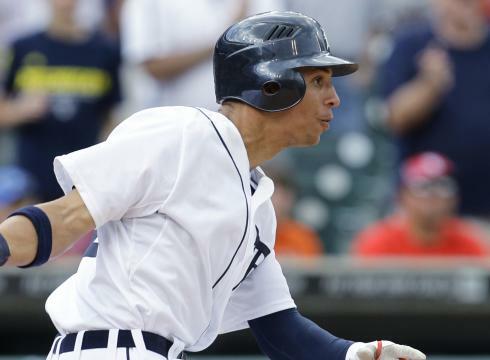 Getting swept in three straight games at Kansas City sets a different tone for the Tigers as they embark on a 3-game series against the American League Central-leading Chicago White Sox this weekend at Comerica Park. Instead of playing to grab control of the AL Central race, they are essentially playing to stay in it. Ditto for the AL wild card fight. The Tigers are three games back in both areas of the standings. Even with a sweep, they will only be tied with the White Sox coming out of this weekend. A sweep either way is unlikely, but the key for the Tigers is to gain a game, not lose one. The schedule is starting to dwindle. There are just 32 games remaining. Making up four games with 32 left is hardly impossible, but difficult. It's certainly more dicey than two. There is no magic explanation detailing the Tigers troubles in KC. They had 12 hits and one run in a 2-1 loss Thursday. They didn't get a big hit. The Tigers are amazingly streaky with runners in scoring position. It's all or nothing. It's usually predicated by whether they are at home or on the road (the Tigers' 30-35 road record, frankly, is not worthy of a contending team). Miguel Cabrera did not have a good series. After Game 1 of the series, there was magic from the rest of the lineup. They pitched just well enough to lose on Tuesday, and literally did nothing offensively after that. The good part is the Tigers have their best pitchers going in this series. Of course, a lot will depend on tonight's starter Doug Fister, who has not started in two weeks because of a groin injury. The concern isn't only about his health, but whether he will be sharp after a layoff. Sometimes it takes taller pitchers a start or two (Fister is 6-8) to groove their mechanics after missing time. That was the case when Fister came off the disabled list earlier this season. Saturday and Sunday, the White Sox figure to see the Tigers at their best with Max Scherzer and Justin Verlander pitching. 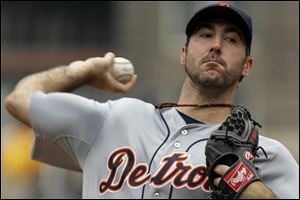 My best guess is Verlander will bounce back strongly against the White Sox on Sunday. At first glance, the Kansas City Royals don't appear to be a particularly ominous foe for the Detroit Tigers. The Royals have the third-worst record in the American League (56-71). The Tigers have 10 more games remaining with the Royals, beginning tonight in Kansas City - nearly 30 percent of their remaining 35 games. Seven of those games at Kansas City. The Royals have lost five of their last seven games - all on the road - to Tampa Bay and Boston, but still have a 14-11 record in August. They have already had a strong bearing on the AL Central race, winning 5-of-6 games this month from the division-leading White Sox. They also won two of three during a home series with Oakland, and split a four-game road series with Baltimore - both AL wildcard contenders - this month. The Royals have a bad home record on the surface - 26-33. It's misleading because the Royals lost their first 10 home games this season. Since then, they are 26-23 at home, including winning seven of their last eight home games against Texas, Oakland and the White Sox. Conversly, the Tigers have been a below .500 team on the road this season (30-32), the only below .500 road club among those looking at serious contention for the playoffs in the American League. The Tigers have seven more games remaining with the White Sox. Those are important, but they must do what the White Sox couldn't against the seemingly lowly Royals earlier this month - pick up ground. That's especially true given the White Sox late-September schedule that includes with the Angels and the Rays, who both figure to still be fighting for their playoff lives at that point. The White Sox have six games remaining with the Royals. 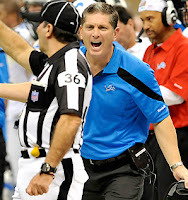 Based on the preseason, the Detroit Lions issues in the secondary are every bit as bad as doomsayers feared. Carson Palmer on Saturday night, a quarterback the Lions did effectively throttle last season, could have been Aaron Rodgers, Matt Flynn, Drew Brees late last season. While it is understood it was late in the game, and the Lions had many backups and players who won't even be on the team for the regular season on the field, Terrelle Pryor did a great impersonation of Vikings' backup QB Joe Webb at Ford Field in 2011. Is there something about the Lions' defensive scheme that allows for that against mobile QBs? Part of these issues are because of injury. If safety Louis Delmas were healthy and on the field, it wouldn't be nearly the same problem. 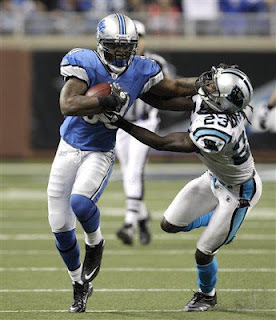 Delmas hasn't made many big plays since his rookie year, but he is an improved tackler, who provides a solid last line of defense. Safety, in my opinion, is the NFL's most underrated position in regard to importance. Erik Coleman does have experience, but it's difficult to discern how much he has left based on preseason. John Wendling is an excellent football player. He will make a surprising number of plays, but will also get burned. His forte is special teams. Playing him from scrimmage hurts special teams units. I believe rookie cornerback Bill Bentley is going to be a good NFL player, maybe even a very good one, but he is clearly being pushed too soon. Jacob Lacey is an ideal nickel back, but he may have to start. It's always dangerous when players are put into situations that are less than ideal for them to succeed based on their skill set. It's a necessity in the NFL, yet usually through in-season attrition because of injuries. 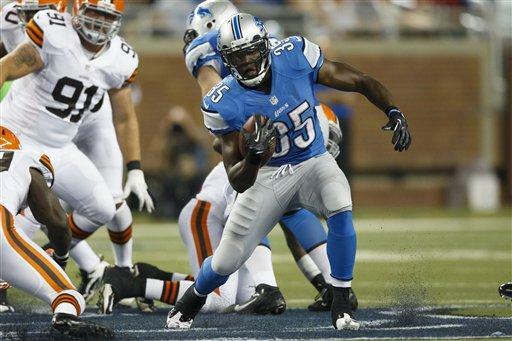 The Lions will going into the start of the season in this predicament with their secondary. Suffice to say, there will be a lot of pressure on the defensive line to get home with the pass rush. Also, it does benefit the Lions that they won't be seeing top passer such as Rogers or Jay Cutler until later in the schedule, but is there something about their scheme that allows them to get toasted by quarterbacks with speed? After the Rams' Sam Bradford - a dropback passer - in the season-opener, the Lions will be tested in this regard. San Francisco's Alex Smith, Tennessee's Jake Locker, Minnesota with Webb (although he is the backup to Christian Ponder) and Philadelphia's Michael Vick all run exceptionally well. The Tigers have a 22-15 record since the All-Star break. They were only two games above .500 to that point. They have gained a little ground on the first-place White Sox. They were 3 1-2 games down at the break, now they are two games behind the American League Central leaders. The Tigers lineup has been consistent most nights since acquiring Omar Infante near the trade deadline and the return from the disabled list of outfielder Andy Dirks, both of whom have performed well. The one area of controversy about the lineup is whether fan favorite Quintin Berry should be in more against right-handed starting pitching. Most nights, the choice comes down to Berry or Brennan Boesch for right field. After today's series finale vs. Toronto, the Tigers will face right-handed starters all three games of their set against the Angels at Comerica Park: Zach Greinke, Dan Haren and Ervin Santana. Quintin Berry: 91 at bats, .231 batting average, 293 on-base percentage, 1 home run, 9 RBI, 8 runs scored 4 stolen bases, .601 OPS (on-base percentage plus slugging percentage). Brennan Boesch: 104 at bats, .260 batting average, .313 on base percentage, 3 home runs, 17 RBI, 13 runs scored, 1 stolen base, .746 OPS. I have maintained since 2009, when Justin Verlander had a comeback season from a disastrous 2008, he is the best starting pitcher in baseball. My reasoning hasn't necessarily been based on sheer numbers. He wasn't the best pitcher in baseball statistically in 2009 and 2010. Particularly his ERA, but also his WHIP, were higher than many other starters, but I felt those numbers were skewed by slow starts in the month of April. Also, I look at traditional scouting aspects as much numbers. How hard does a pitcher throw? What kind of off-speed pitches does he have? What is his size - taller pitchers throw on more of a downward plane, and that tilt makes their pitches even more difficult for hitters to center the baseball. What kind of overall athlete are they? The best pitchers tend to be very good overall athletes, which is a factor in their ability to repeat their delivery and maintain their arm slot. Verlander throws consistently harder than any other starter and has an excellent breaking ball and change up. He is the perfect height for a pitcher and is very athletic overall - tall at 6-5, but not too tall, which makes it difficult to maintain his pitching mechanics. He also has a good feel for pitching and strong competitive character, which seemed to be built through the disappointment of '08. Last season, Verlander answered all questions. His numbers this season are nearly the same quality, although he hasn't been able to garner as many wins because of factors that have sometimes (not always) been out of his control. His durability is outstanding. It wouldn't surprise me if he throws another no hitter before the season ends, and it could even come Thursday against a depleted and laboring Toronto Blue Jays lineup at Comerica Park. But his status as the best pitcher in the game is being challenged by Felix Hernandez, who I had thought was fading a bit after such a dominating start to his career. Hernandez is a couple years younger than Verlander. He doesn't throw as consistently hard and isn't the same athlete overall, but he has definitely has a special pitcher's touch. David Price is having a phenomenal season. He is left-handed and has an incredible arm. Jered Weaver is really good. I don't mean to dismiss him. 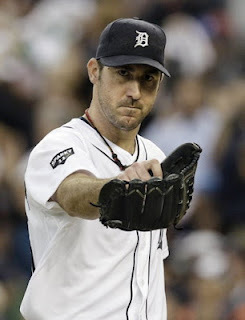 But the Angels have never pushed him deep into games like the Tigers have with Verlander. There just isn't the same physical presence there - despite glowing numbers. The best pitchers in the National League, in my opinion, are Clayton Kershaw, Steven Strasburg and Johnny Cueto. All are young, have great arm strength and should be able to perform well deep into the future. They are all potential Justin Verlanders. Look, nobody has banged the drum louder for Matthew Stafford than I have. I thought the Lions should draft him first overall and said so as loudly as I could, and took shot-after-shot from a long line of Lions fans who wanted them to take an offensive tackle (Jason Smith) or a linebacker (Aaron Curry) instead. When Stafford was hurt, and there were cries of "China Doll," I didn't think it was that significant in the long run because none of the injuries appeared to be lingering. And he is a brilliant talent, absolutely capable of leading the Lions to a Super Bowl victory some day. But I find any outrage about Stafford being ranked behind Tony Romo and Jay Cutler in a recent ESPN player ranking misguided. 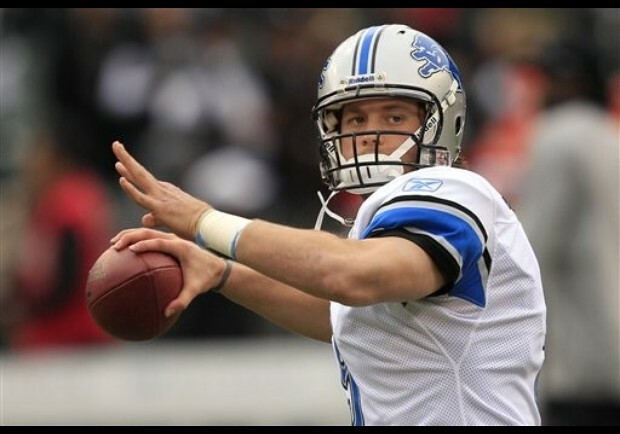 At this stage, Stafford has accomplished relatively little in his career. He has put up impressive numbers for one season and not won a playoff game. 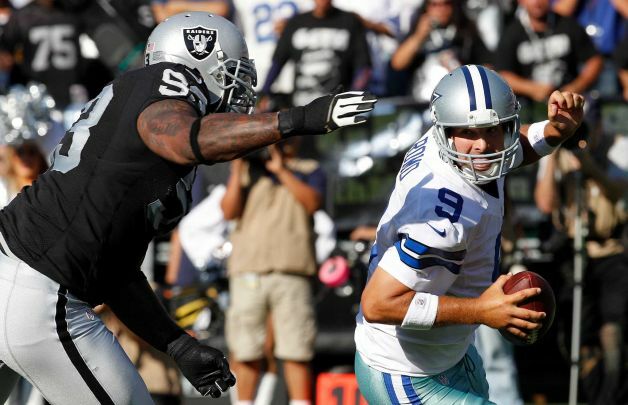 Romo and Cutler have proven they can sustain their performance statistically for a longer period. Cutler has taken a team within a win of reaching the Super Bowl, although that game didn't, ah, go well. My point is, Stafford is still mostly about potential. 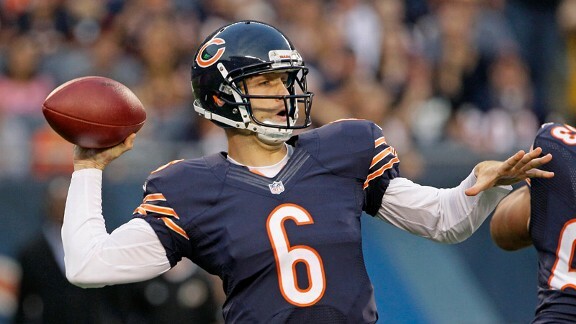 Will he be better than Cutler and Romo in the future? Highly likely, but his resume is still in the beginning stages of development. There is a lot more for him to accomplishment before he vaults over the best-of-the-rest among NFL QBs such as Cutler and Romo, and starts to rank with the truly elite like Aaron Rodgers, Tom Brady, Peyton Manning, Drew Brees and, yes, Eli Manning. It begins with winning a playoff game. When the Tigers lose a series like they just did to the Baltimore Orioles, ending a three-game set with two losses after winning the first game, there tends to be this over-analysis as to why. It is automatically assumed they lost because of weaknesses that has haunted the Tigers all season. That wasn't true in the last two games. The Tigers didn't lose either game because the fifth hitter and beyond in the batting order didn't come through, or their bullpen collapsed, which have been the Tigers' biggest problems overall this season. The 5-to-9 hitters in the order produced 6 runs in the two losses. The bullpen pitched 8 1-3 scoreless innings in the two defeats. Jhonny Peralta hit fifth the last two games and delivered a three-run homer Sunday and a clutch late-inning, two-run single Saturday. Jeff Baker had an RBI double Sunday. Prince Fielder, Miguel Cabrera and Austin Jackson were 0-for-6 with runners in scoring position the last two games. They aren't exactly "problems" for the Tigers, are they? Sunday, the Tigers could have gotten more out of a 5-run first inning against Baltimore starter Bruce Chen. Baker was stranded at second base with one out because Chen retired Gerald Laird on a line out to left and struck out Quintin Berry. Both Laird and Berry have had surprisingly good seasons for the Tigers, and have been more solutions than problems. 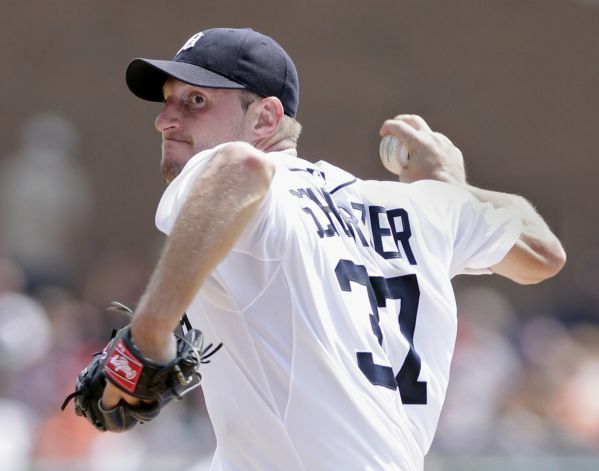 The biggest reason the Tigers didn't win their series against the Orioles is Doug Fister. He had a horrible start Sunday, especially by the high standards he has set lately. He had a 5-0 lead and essentially gave it right back. He looked like he had pulled himself together, but walked two hitters in a row with two outs in the fourth inning, and the predictable disaster ensued. But is Fister a problem for the Tigers? Hardly. There isn't much complexity to the Tigers. They are high-end team, centered around a core of stars, either high-priced players and/or players they paid baseball's version of king's ransom to acquire via trade. The Tigers will only do as well as those players perform. Saturday and Sunday, that wasn't particularly well. Recently, Barry Bonds said he belongs in the Baseball Hall of Fame. There was a time, not long ago, when people seemed overwhelmingly against it. Not so much any more. 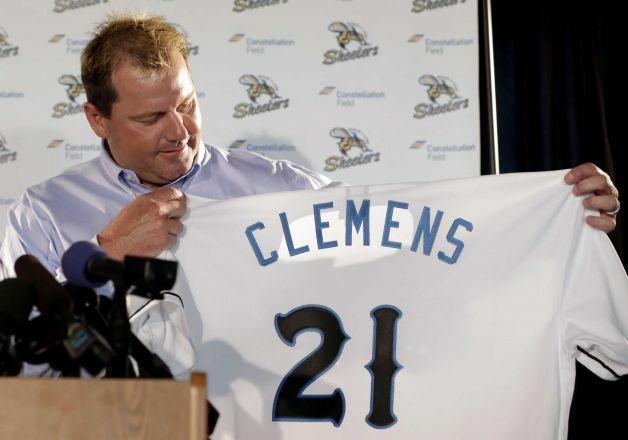 Roger Clemens was acquitted in a sham that was passed off as a trial, so now it is like he did nothing wrong. More and more, I'm hearing that he belongs in the Hall of Fame. National League MVP Ryan Braun reportedly tested positive, but was let off the hook on what was essentially a technicality. It's like he never did it. Pure vindication is the message. San Francisco Melky Cabrera, who stats this season are far above his norm, was recently suspended for 50 games. In the aftermath, Victor Conte, whose BALCO lab was the state of the art until he was busted and did jail time, has come out and explained how easy it is to cheat the current system. It is as simple as rubbing magic cream into you body at the right time. 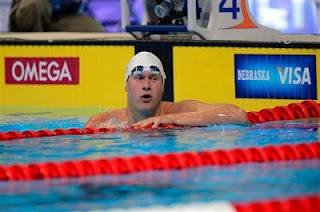 He also discussed how easily the premier athletes were cheating at the just completed Olympic games, which he attended. The IOC? Bud Selig? They are too busy counting money to pay much attention to an alleged quack like Conte. Count me among those who is disturbed by it, but I'm getting the message (and correct me if you think I'm wrong) that the general public is so tired of this, they don't care if their great athletes are doping or using performance enhancing substances. They want to view what they see as real, not moments that will snatched away from them at a later date. There is no reason to give athletes "the benefit of the doubt." Actually, given the track record of sports over several decades, the microscope should be more magnified than ever. But I get the sense we are letting our guards down again. I believe it is just a matter of throwing our collective hands in the air and giving up because the athletes didn't when it comes to cheating like this. There is too much money to be made. There are so many people who are easily fooled, or just, perhaps more accurately, just don't want to know, and now, it seems, even care one way or another. It's kind of sad, isn't it? - I've had a few questions about my thoughts on Duane Below being sent to the minor leagues in favor of Luke Putkonen. While I understood it conceptually, I don't feel it was the right move. With Joaquin Benoit and Brayan Villarreal struggling so much, there is more of a need for a hard-throwing right-hander than a long lefty reliever. The Tigers have never shown much faith in Below with games on the line. Of his last 21 appearances, 20 were in Detroit losses. He was the mop up man. He doesn't fit as a situational left-hander. In his career, left-handed hitters are batting better against him than right-handed hitters. But I don't think Putkonen will be any better. He has good velocity on his fastball, but his track record, even in the minor leagues, isn't good. I think this was the time to bring Bruce Rondon to the major leagues, but he got suspended for five games for throwing behind former Tiger Will Rhymes this week. - The Tigers lineup today is pretty balanced. Brennan Boesch has not hit well recently. It's a good idea to see if Quintin Berry can regain some of the form he had earlier this season. The idea is to play the hot hand. Right now, that is clearly not Boesch. Cole De Vries, the Twins' starter today, was brutal in his last outing. The Tigers should be able to get to him early. With their bullpen situation precarious at best, the Tigers need to get to this kid early and receive a seven-inning start from Max Scherzer. - Moving back Anibal Sanchez and starting Doug Fister on his normal rotation day because of upcoming days off is a no-brainer. Sanchez is the Tigers fifth starter at this point, and Fister No. 2. There is little doubt about that. 1. Austin Jackson, CF; 2. Omar Infante, 2B, 3. Miguel Cabrera, 3B; 4. Prince Fielder, 1B; 5. 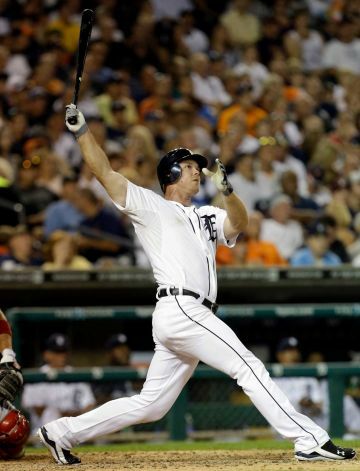 Andy Dirks, LF; 6. Jhonny Peralta, SS; 7. Alex Avila, C; 8. Jeff Baker, DH; 9. Quintin Berry RF. 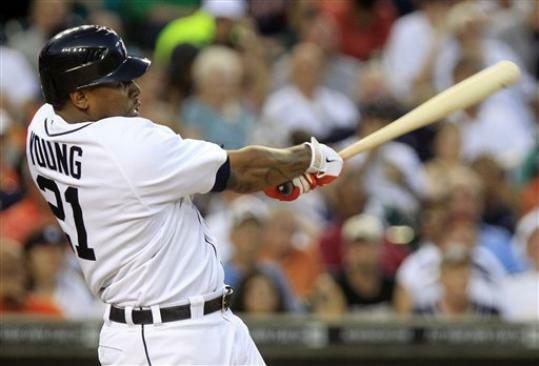 - The Tigers have more viable options now since their recent roster moves. They don't have play slumping players in what is essentially a 4-player corner outfield/DH platoon. - Infante is an ideal two-hole hitter because he loves fastballs, and that's mostly what he will see hitting in front of Michael Cabrera. He also hits a lot behind the runner. He easily has the best major league track record among the hitters that are candidates for that spot. - Dirks has hit well this season, including presenting a .958 OPS and a .370 batting average against right-handed pitching. Put him a spot where he might be able to drive in some runs. - Brennan Boesch has had a good six weeks overall statistically, but his most recent four at bats the last two games have been disturbing. He's seen four pitches in four at bats, and has essentially gotten himself out in key situations. Quintin Berry hasn't exactly been Tony Gwynn lately, but he can work a walk (Twins starting pitcher, right-hander Samuel Deduno, has walked 22 in 25 innings). Berry's struggling start against the Yankees last week aside, he displayed enough earlier where its feasible he can provide production offensively with some base hits and his speed. - Jeff Baker is a solid professional hitter. Give him a shot this one night to see what he can do against right-handed pitching. Like Boesch, Delmon Young goes incredibly hot and cold. The Tigers see a left-handed starter Tuesday. So both Young and Baker will be in the lineup then. - It's apparent Joaquin Benoit isn't himself. Take an extra mile or two off a fastball, and a little bit of late life, and the result is pitches that normally pierce the strike zone being routinely hit out of the ball park. The Tigers would be wise to back Benoit off, and make sure the shoulder soreness that has bothered him lately has been cleared, and maybe even put him on the disabled list and recall Bruce Rondon. A 100 mph fastball in the major leagues is the same as it is in the minor leagues, very difficult to hit. It appears every inning Rondon is throwing in the minor leagues is a wasted one because the Tigers bullpen has started to falter. The Tigers need bullpen help now, not September. I don't see where any better help would be available right now than Rondon. - All the talk about "The wheels coming off Quintin Berry," is as nonsensical as the hype about him to begin with. He had a bad game against the Yankees. He initial step in the outfield isn't the best, nor are his routes to the ball. There were times when he got to balls dangerously late before, still made the play, and was hailed for making a great play. But his misplay Thursday aside, Berry has tightened up defensively overall and made several good plays since the All Star break, particularly a ninth-inning catch against the White Sox, and getting the ball in quickly to prevent the tying run to score this week vs. the Yankees. Offensively, he will do OK as long as he is spotted against right-handed pitchers, who don't throw particularly hard. I didn't have an issue with Jim Leyland starting him against the Yankees' Hiroki Kuroda. It didn't turn out that way on this particular day, but that's the type of pitcher Berry has a fighting chance against. 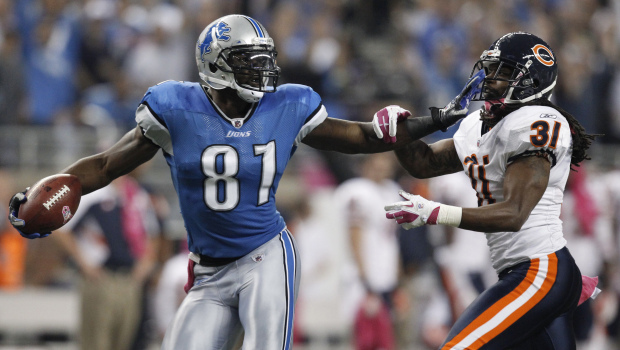 The Lions feature some of the NFL's greatest stars. Safety Louis Delmas isn't one of them. He is a good player, and in the grand scheme of the Detroit Lions, that makes him pure gold because of the position he plays. He is the last line of defense. He is not only the Lions' best safety - he is by far their best safety. Last season, when he went out of the lineup with a knee injury, the Lions defense went into the tank. The Lions roster is unbalanced with the salary cap. Too much invested in receivers (second-round pick Ryan Broyles is a potentially a great player, but where does he fit any need right now?) and defensive line ($10.6 million for Cliff Avrill with good depth at his position), and clearly not enough in the secondary. 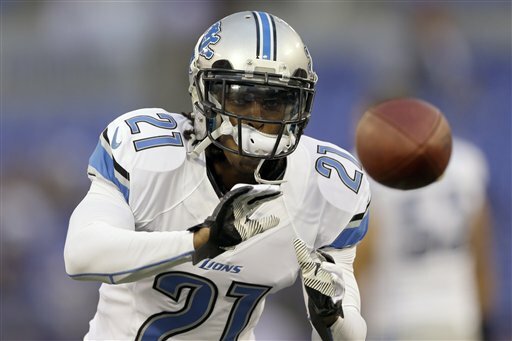 If Delmas is out, cornerback Chris Houston is the only member of the Lions' secondary who would start for most NFL teams. It's not a good sign when Aaron Rodgers, Jay Cutler, Michael Vick, etc loom on the Lions' schedule this coming season. Every day, these days, regardless if the Tigers are winning or not, manager Jim Leyland's lineup is going to be a constant source of angst among Tiger fans. It's because they have four outfielders for three positions against right-handed pitching. Three are left-handed hitting, Brennan Boesch, Andy Dirks and Quintin Berry, and one is right-handed hitting, and belongs only at DH, Delmon Young. Fans love Berry. Many of them get upset when he doesn't play. And it's understandable, while his numbers have tailed the second half of the season, he's actually had more significant hits in that period, and been more consistent with the glove. Young is not a fan favorite. He had a well-documented off-the-field issue (although he did stand up to it), and he swings at inordinate number of bad pitches. But it is not giving him Young due credit if his contributions are ignored. There have been times, when he has gotten hot, and carried the Tigers - late last season, in the ALDS vs the Yankees, just before the All-Star break this year). It's not like he can't hit right-handers. When he is hot, he hits everybody. Brennan Boesch, despite his maddening inconsistency, has had as many key hits for the Tigers this season as anybody not named Miguel Cabrera, Prince Fielder or Austin Jackson. Andy Dirks had to fight for his job on the club this spring (anybody still think Clete Thomas should make the team over him)?. He hit in the spring. He hit when the regular season started. He's hit since coming off the disabled list. It's proverbial nice problem for Leyland to have. There are options. He can play matchups. It's not like when Jackson and Dirks were on the DL, Boesch and Young not hitting a lick - and the team went 8-13. With the recently-acquired Jeff Baker being a clear upgrade from Ryan Raburn in his role vs. left-handed pitching, the Tigers are in good shape. I would expect all five of these hitters to contribute in one way or another down the stretch, and probably in the postseason. It give the Tigers something many other clubs don't have - good depth. And a lot for us analyze when the lineup is posted each night. 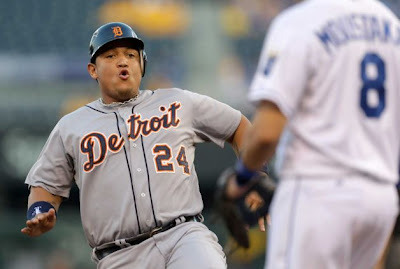 With Josh Hamilton slumping, more and more you are hearing Miguel Cabrera's name as the likely AL MVP. This was his loudest statement yet. He has always been an amazing hitter, but early in his stint with the Tigers, he was not all that dependable in the clutch. That is no longer the case. There isn't a better hitter in baseball, especially with a game on the line..
- While Cabrera may be the MVP of the AL, in a way Austin Jackson is the MVP of the team. He doesn't get that hit, the Tigers don't win. The Tigers weren't a very team with Jackson out of the disabled list. They have been very formidable with him back, especially at Comerica Park. - Anybody complaining about the Omar Infante trade now? He should be hitting second because he is a tremendous fastball hitter. And in the second spot, that's all he'd be seeing with Cabrera hitting behind him. - The Tigers were eyeballing Jeff Baker at the trade deadline last year. 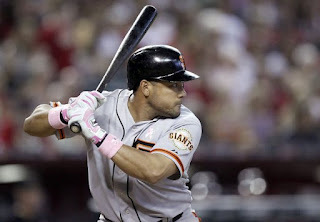 He is a good, solid major league role player and right-handed hitter. He will help them. He is clear upgrade from Ryan Raburn. - The Tigers are 58-50, actually a game ahead of the pace they set last year after 108 games when they were 57-51.Their 108th game last season was also a dramatic victory on a Sunday afternoon at Comerica Park, the one over Jared Weaver and the Angels. Remember that game, and what an impetus it provided the Tigers remainder of the season? 1. 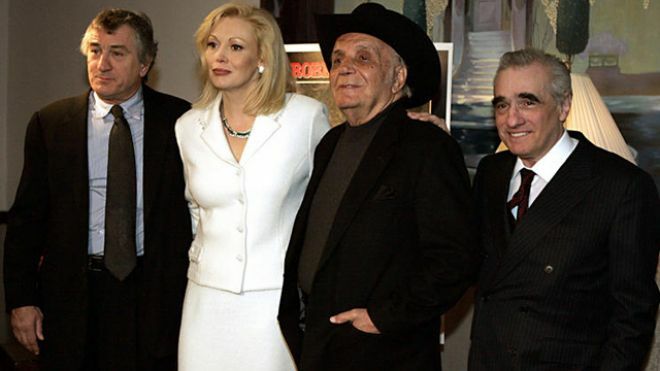 Raging Bull - My favorite movie of all time, period. The scene where Jake LaMotta is getting hammered by Sugar Ray Robinson, blood squirting from his disfigured face, and says, "You never got me down, Ray..." is incredibly compelling. Robert De Niro has done amazing work. To me this was his best. Ditto for director Martin Scorsese. 2. Field of Dreams - A sappy movie, one that involves complete and total fiction that falls completely out of any reasonable realm of possibility. I am not easily captivated by movies like "Field of Dreams." But it does ultimately reveal the essence of baseball better than any movie. At some point, every time I've seen this movie, tears well up in my eyes. I can't help it. 3. Slap Shot - 35 years after this movie came out, the Hanson Brothers are still in demand for public appearances. Why? Because when people think about them, they smile. I think, "Old time hockey, like Eddie Shore." There isn't a kid, who has played hockey that hasn't seen this movie. that's true of even those very young. It's required viewing for hockey players like "Of Mice Mice Men" is required reading for students of American literature. 4. Remember the Titans - Hey, it's my list. I admit to being a sucker for football movies about teams that rise above the odds. This is a true story, and although embellished a bit, it stuck to its real life script better than most films of this genre. The football scenes were exceptionally well done. Denzel Washington was terrific as Herman Boone. There was a great message in this movie. Love it. 5. Hoosiers - Basketball in Indiana, small town America, how much meaning a local high school team can have in a community, a simpler time in the 1950s ..it's the classic Hollywood tale of the underdog, Yet, there were many layers to "Hoosiers" - the disgraced coach, the fallen hometown hero, the quiet, troubled kid with a unique skill, the kid torn between love for his father and hate of his behavior. This movie is a lot more than just a long shot that eventually comes in for a feel-good ending. 1. If the game was going to be stopped, it should have been earlier. It wasn't raining that much harder, if at all, compared to some points when play was occurring. 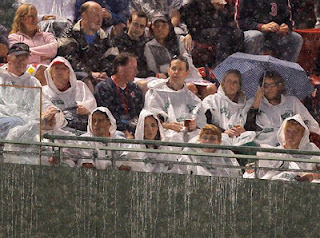 Once they put the tarp on the field, it was the point of no return given the weather forecast. It was going to keep raining, but lighter. 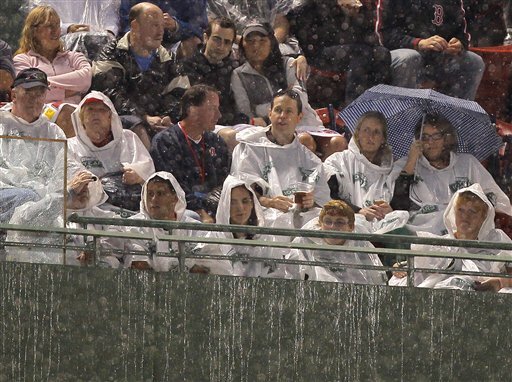 But they never resume a game when there is any rain. 2. If they were going to call it in the middle of the sixth inning like that, at least do so at a clean breaking point, the half-inning. Sure, the game probably would have reverted back to the previous inning ,and it would have been a Red Sox victory anyway. But it wouldn't have ended with bases loaded, two outs and the potential go-ahead run at the plate. The Tigers should have at least been given a chance to make the third out without scoring or going ahead in the game, which would have been the probable outcome. - It's not just the bottom half of the Tigers order not hitting on this road trip. It's pretty much everybody. What you're seeing here is the price the Tigers pay when Miguel Cabrera and Prince Fielder don't produce (Cabrera is hitting .215 on the trip, Fielder .200, and between them they have four extra base hits in 53 at bats). 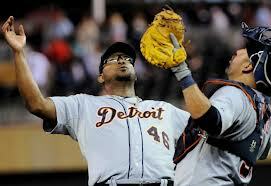 The good part for the Tigers is Cabrera and Fielder don't go into these funks often. - On the surface, Aaron Cook, the Red Sox starting pitcher tonight, should present a good matchup for the Tigers. He has struck out only four hitters in 40 innings after coming back from injury issues. The slower bats in the Tigers lineup (Alex Avila, Quintin Berry, Brennan Boesch) should be able to catch up to his fastball. But here's fair warning. He is a sinkerball pitcher, and it has been working lately. His WHIP is surprising good. Also, Fielder has struggled against Cook, who has spent most of his career in the National League (.150 batting average, no home runs in 25 plate appearances). - The Indians starting staff at Comerica Park should help the Tigers get out of this: Justin Masterton, Ubaldo Jimenez and Derek Lowe, the scheduled starters for the Indians this weekend, have been lit up like pinball machines in their most recent starts. 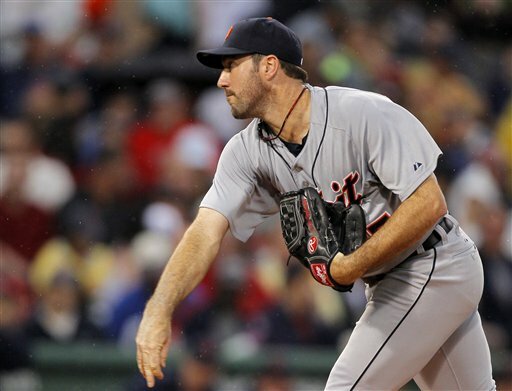 - Justin Verlander struggled in both his outings on this road trip. But in the bigger picture, he remains the least of the Tigers worries. His velocity was very good last night, and despite the difficult circumstances and flow to the game, he made some very good pitches at tough times.